One question we get asked a lot is “How do you start a blog?“. You may have so many reasons to start a blog. It could be as simple as wanting an online space to share and treasure your memories and images. A place to share your favorite recipes, restaurants or fashion trends. Or it could be as grand as wanting to make money online with a blog or wanting to learn how to start a Mom blog. Whatever the reason, to create a blog from scratch can seem daunting and complicated. We are here to give you a simple and easy step by step guide to starting a blog. There are many different hosts and blog types. Let’s say you want to start a fashion blog and wonder how to start a fashion blog. The start point is the same for any blog niche, it is to get a host. We have found Bluehost and WordPress to be the best hosting and website as our personal choice and the following tutorial will show you how to set up a simple site with them. First click here to start your blog and then follow our easy how-to guide below. Before you start to panic, let’s explain this term. No, we are not going to ask you to pull off the party of the century ( because if you’re anything like me, when I get visitors is usually the only time I actually clean my house. This is going to be a whole lot easier than that, I promise). 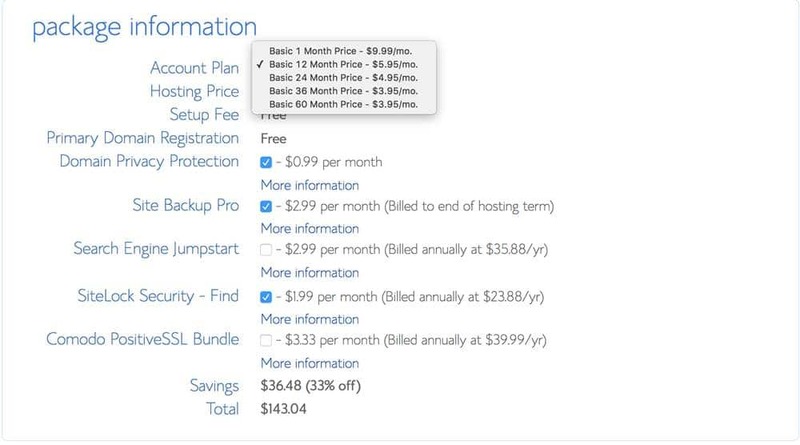 Hosting simply means that you are paying for your own real estate on the internet. Anyone with a site must do this. Although there are so many different options and companies, Bluehost is one of the cheapest and easiest methods to start your blogging with. Choose a plan. The cheapest way to start your blog is on the ‘Basic” plan, which will have everything you will probably need for a startup blog. If later on, you decided that you need some of the extras it is possible to upgrade and pay the difference. The longer you sign up for, the cheaper the cost will be. We suggest signing up for 12 months. It is an affordable way to see if blogging is for you and you also get a free domain name. Your domain name is what you be known by online. This is something to seriously consider, especially if your goal is to make money from your blog later on. Try to make it memorable without being too witty. It’s a fine line between standing out and leaving people questioning how to spell your domain name or what your blog is actually about. Try not to pigeonhole yourself either. For example, you may be the queen of the young family travel scene now but those babies are going to grow up in the blink of an eye. Your style and ideas will change as you grow, always allow for that. Also, the .com name is always one of the best to have. If you already have established social media accounts like Instagram, Pinterest and Facebook. Try to keep your name the same across all of your online presence. See if the domain name you have chosen is available. If not…it’s back to the drawing board until you can find one. Once you find a name that you love and is available your on to the next step. If you already have a domain name. 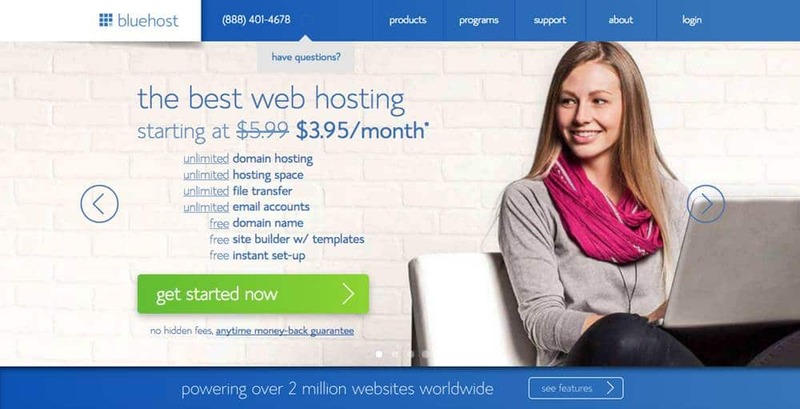 If you have already purchased a domain name through other means it is possible to switch it over to Bluehost. Or you can have your domain name with one company and host with another. Depending on where you have purchased your domain your next step will vary. To connect a domain with your hosting you will need to go to your domain provider and change your DNS Nameservers. For Bluehost, these will usually be: ns1.bluehost.com; ns2.bluehost.com. 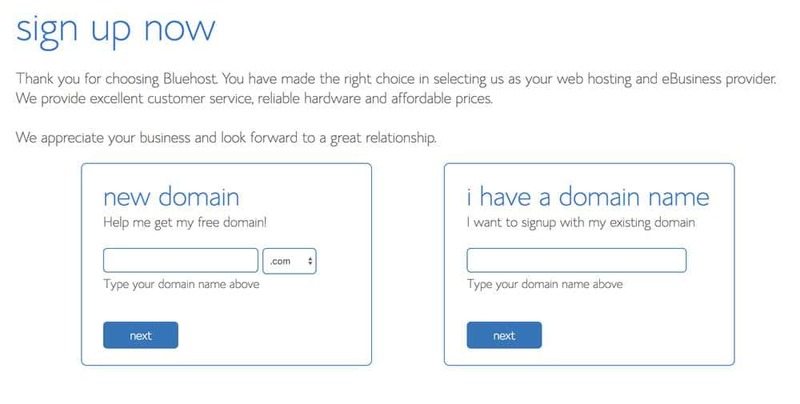 Then on your Bluehost account, you must assign your domain. Bluehost makes all this easy, simply follow all steps when prompted. Looking for some great ways to make money as a Stay at Home Mom? Check out this post packed with great ideas. Pick which package suits you. Obviously, the longer plan you pick, the cheaper cost is per month. 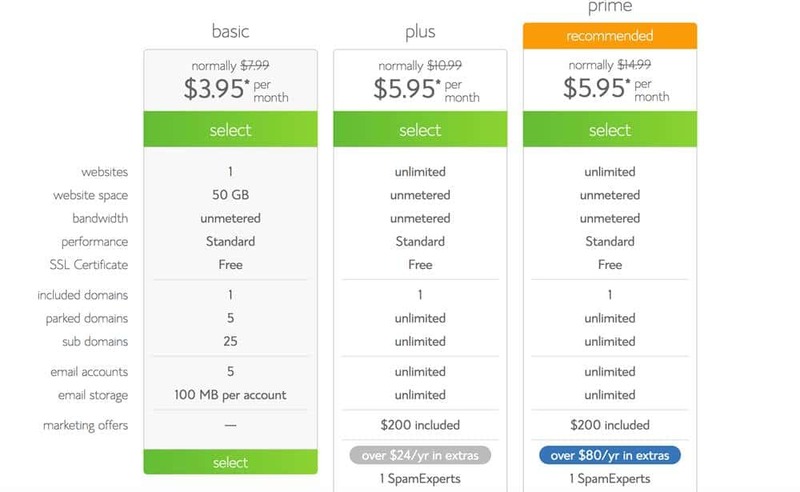 You need to select at least 12 months to receive the free domain. Even if you are trying blogging out for the first time, we would recommend choosing at least the 12 month plan. This will work out better for your pocket and also save you having to renew every month while you are busy learning the in’s and outs of blogging. Domain Privacy Protection is worth strongly considering. This prevents your personal details about your blog hosting being seen by the public. While backing up your blog is vitally important, it is possible to get a plugin to do this ( Please don’t panic about these just yet if they are new terms). So we would uncheck all boxes apart from the Domain Privacy Protection. Next, you will be asked for your personal info and payment details. You will also create a password. Make sure this is a safe password and one you will remember. Once you have signed up to Bluehost you will receive a link to the cPanel via email. This is a page that allows you to control your Bluehost account. Find the image that says “One Click Install” on the cPanel and….click once. Choose the domain name for your site from the drop-down box. If you click on the ‘ Advanced Options” you can change things such as email address, username and password. As with all online security pick something that is safe and not easy to guess. You want to protect your precious site. Remember to keep a record of these too ( as I am sure you are like us and have too many online passwords and usernames these days). We would advise to also check the box to create a new database if this is your first time creating a website and you do not have one. Read through the license and agreement, check the boxes and finally…..
You are now the proud owner of your very own online space! 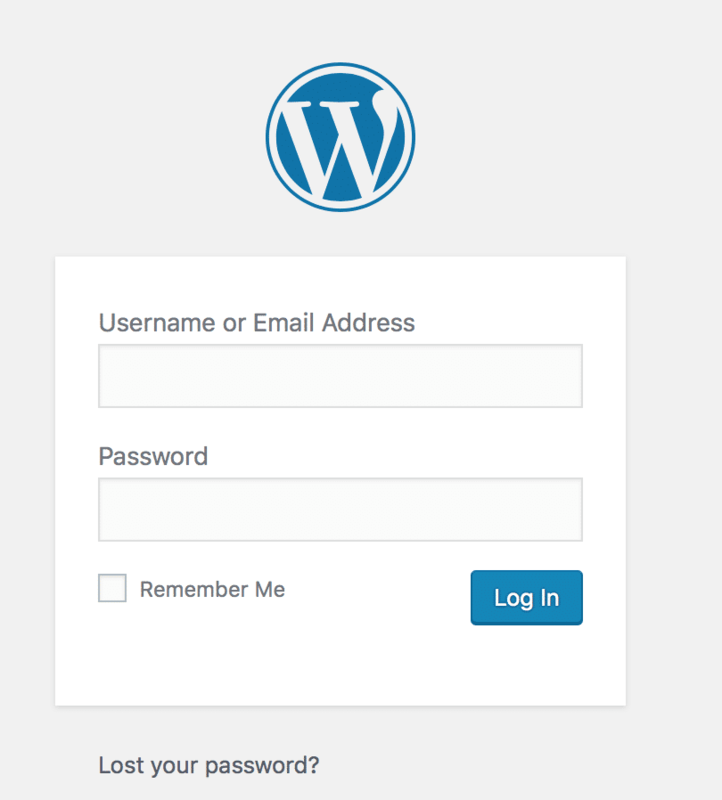 To log into your website you will need to go through WordPress via /wp-admin. A theme is how your website looks. There are so many themes to pick from. Some are free and others need to be paid for. Our advice here is to take your time, think about what you want to achieve with your site and pick a theme that provides those things for you. If your site is more like a personal memory keeper than a simple free theme would probably work perfectly for you. To have a website that you are going to sell products from or have a subscription for then you will need a theme that is more complex. Most themes these days allow you to drop and drag page details, change colors and fonts. All without knowing any code! Themes can be found in the ‘Appearance’ dropdown box on the WordPress sidebar. If you buy a theme elsewhere you will need to download it onto your website. Elegant Themes is the choice for our website and we love the variety and ease from these themes. No need to know code and there are lots of easy to follow tutorials for you to watch so you can customize your site to exactly how you want. Click here to discover more about Elegant Themes. These are kind of like apps for your website. They can do everything from stop spam to making contact forms. Too many of these may cause issues on your website so it is a good idea to stick to a few basic ones you need and if you stop using one, to delete it from your website after deactivating. A few basic ones are Askimet, to help protect your site against spam.WP smush.it, for reducing the size of your images. A Social Sharing Plugin such as Sumo. Yoast for SEO ( if you want your page to rank on Google search you need to learn all about SEO.). You can also get plugins to back up your site ( which is a vital practice, unless you want the risk of losing all your hard work). You will also want plugins to help the appearance and layout for your site. For example, we use WP Tasty to create our gorgeous recipes easily. Now start creating your amazing content by writing new posts and pages. Pages are your main sites destinations such as an ‘About Me’ page. ‘Home‘ page and ‘Contact‘ page. Posts will be your blog that you write and update regularly. 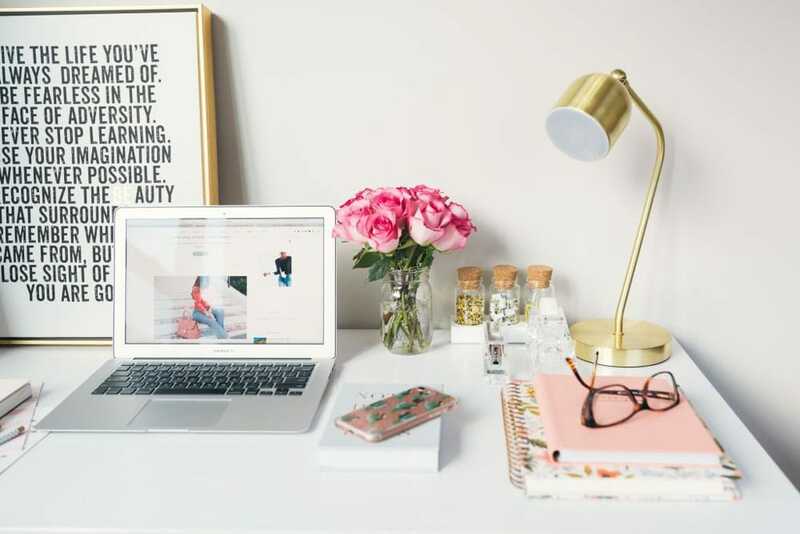 If you want to take your blog further and run it as a business then there are many other things you may need to learn such as Google Analytics and Affiliate Marketing. Billionaire Bloggers Club – This is one of the most comprehensive and honest blogging course we have ever seen. Find out more by looking at our “How to go from 0 to 23k pageviews in Two Months” post. EasyAzon – This amazon plugin is hands down the best plugin to promote your amazon products, to use pictures and have carry your affiliate links to other amazon sites. Elegant Themes – In the blogging world, looks matter. Make your Blog beautiful with these super easy and stunning themes. Keysearch Pro – The must-have tool for SEO. Get ahead on other bloggers by making sure you are using the best keywords and know what your readers are really looking for. Making Sense of Affiliate Marketing – A great course from a blogger who has used affiliate marketing to create an online income of over $20k per month. Check out our post abut how to use affiliate marketing on your blog. Tailwind – Tailwind is Pinterest’s approval scheduler with an easy interface and lots of powerful features to take your Pinterest game to the next level! WP Tasty – Love our recipes? We use this gorgeous plugin. Meraki Mother hope this has helped make starting that new blog a whole lot simpler. We would love to hear about what you have created so make sure you share your new site in the comments below. Got a friend that this would help, be sure to share this post with them.